Many people often underestimate the possibilities when it comes to bathroom style. They think a bathroom is pretty boring and purely functional: you have your basic essential stuff—sink, toilet and tub/shower—and not much style or pizazz. In reality, nothing could be further from the truth. There are many ways to add style and excitement to your bathroom design. 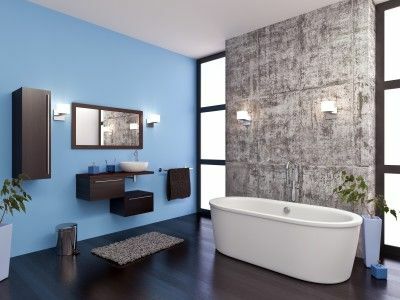 In fact, your bathroom has the potential to become one of the most impressive and stunning rooms of your home! With a little bit of creativity and the right professional help, your bathroom can become not only a relaxing retreat for your family, but also a highlight of your home that will impress guests and visitors, while also providing them with an inviting place to freshen up and recharge (and perhaps even recover from the stress of their day). Shower upgrades such as dual showers heads or a built-in bench—or maybe even a steam feature! Of course, we can also incorporate many other options, such as luxury flooring, custom vanities and more. Contact us to discuss your bathroom remodeling project.